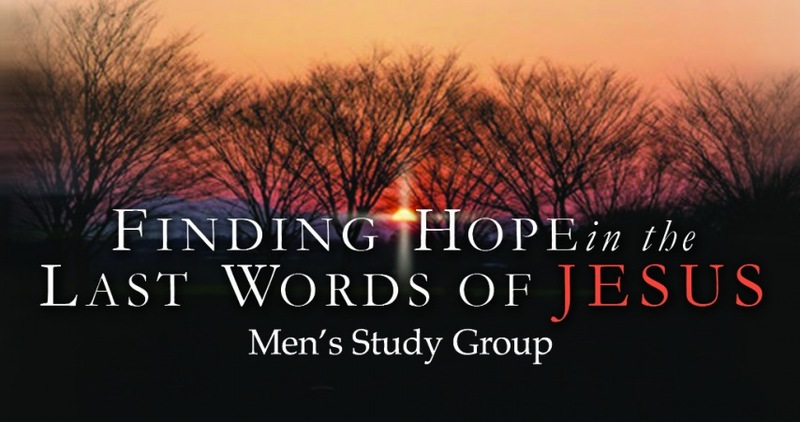 The Finding Hope in the Last Words of Jesus Men’s Study meets on Thursday mornings at 8:15 a.m. and runs for six weeks from March 9th – April 13th. Jesus was known for his attention-commanding teachings, but his dying words were extraordinary. Simply uttered, yet profoundly meaningful, they resonate even today with revelations about his spiritual nature, his human character, and his divine mission. The author, Greg Laurie, mines each statement for its treasure and presents insightful nuggets that give this compact volume multiplied value. This study will run concurrently the Exploring Series entitled End Quotes which begins the last weekend of February. The messages presented during the End Quotes series will complement this study by uncovering how the last sayings of Christ on the cross have served as a catalyst for personal challenge and increased faith. Clcik here to access the current Exploring Series. Join this study to find core truths for daily life, and to learn to use Christ’s last words to help keep first things first. You may pick up the book at the first sesssion. Homework: Read assigned statement and come prepared to discuss.